The most convenient things in life are usually the hardest ones to get your hands on but, today more than ever, walk-in wardrobes have been increasingly making their way into our homes. 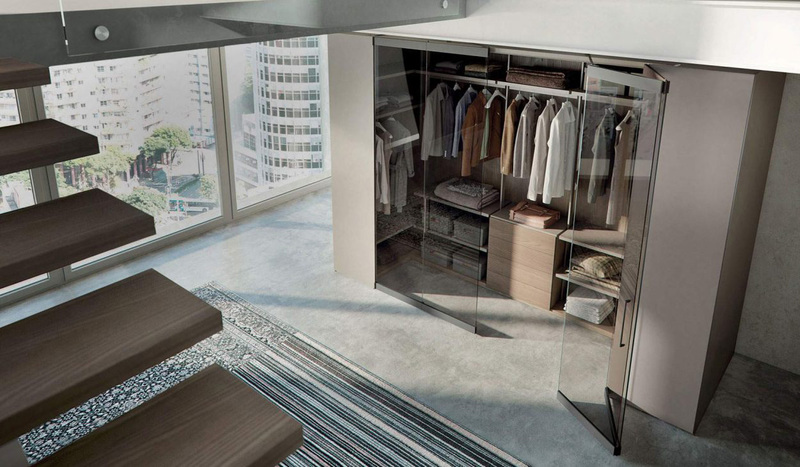 It’s clear to why – practical and stylish, walk in wardrobes are a great design update. First and foremost, you need to figure out which room works best for the purpose at hand; space, layout, height, and the eventual presence of windows are all essential things to take into consideration. Consider the size of the space that you will need too, as while some people might prefer a luxury walk in wardrobe, others might be satisfied with a smaller option. Quality matters; you need something that can store your clothes and your valuables for a lifetime, not something that gives up after a few years. Keeping these three points in mind will help you make better decisions later on when it will finally be time to customise your walk-in wardrobe and create a perfect version of it. Having choice is a blessing in the furniture market because it allows you to express what you want through pieces that are custom fit to represent your style and satisfy your needs. The idea of getting something that will resonate with your style is crucial to the long-term relationship that you will develop with your furniture. This is why choosing the right brand can be intimidating, and it’s also why we want to help you get through some of the road bumps you might encounter. Cabina is an open, modular system from Caccaro that helps you create a space where things are easy to find and are highlighted by great lighting solutions. This is the ideal piece for those who need a good overview of what’s at disposal at a glance. You can request prices directly through our website. 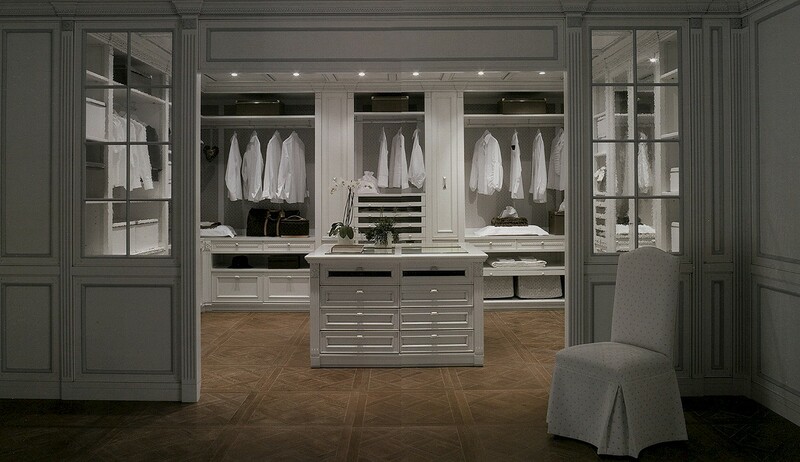 Peggy is the walk-in closet from Cadoro that takes inspiration from classic Venetian palaces. These masterpieces have it all, starting from extremely classy drawers and going all the way up to beautiful seats that help you dress up for every occasion — prices on request. 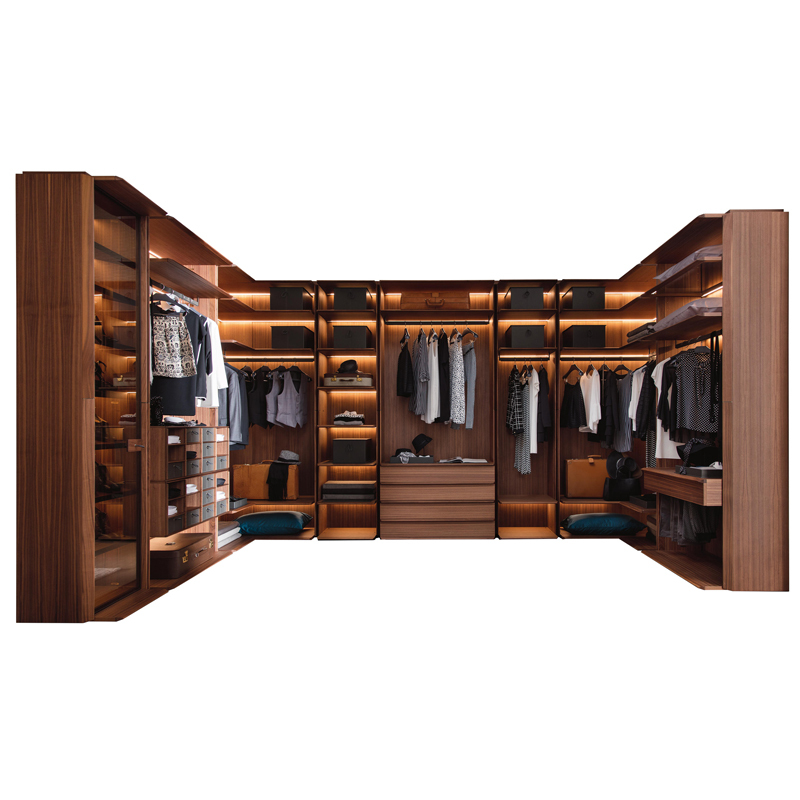 The Atlante walk-in closet from EmmeBi is the perfect choice for those who want to recreate a highly organized environment at all times. The easy to use drawers help you achieve this in a few simple motions and the hanging sections are perfectly spaced out between one another. Starting from £4,379. The Dot walk-in wardrobe is a simple-looking closet design that aims to improve your mobility in general, speeding up the process of preparation with brightly lit sections and intuitive features. You can request a quote at any point in time through our contact form. All of our walk-in closets are built using materials of the highest order, but this one, in particular, wants to take it a step forward. 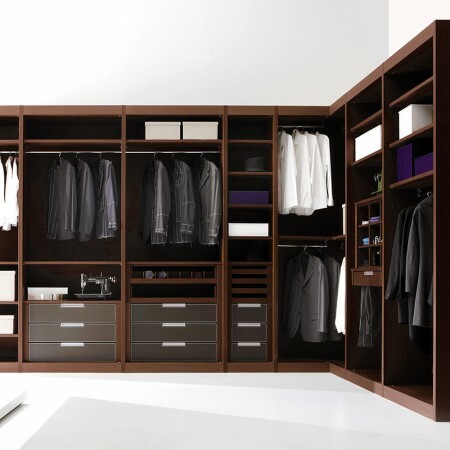 The My Suit from Porada is a walk-in closet that’s built from the ground up using beautifully crafted canaletta walnut. Perfect if you are looking for timeless elegance. Starting from £4379. Once you’ve chosen the brand that fits your needs best, you can start looking into customising the experience before landing onto a final design. This is the best part of the process; in fact, you get to choose exactly what you want regarding accessories, central units, and more. The sky’s the limit here. We at FCI London always pay particular attention to special requests made by our clients, and we work directly with the brands to make sure that all custom orders are handled efficiently and with extreme care. Customising your experience means working directly with us to get exactly what you want, without any compromise. We could be looking at a few different drawers for example, or get some led lights set up. Creating an overall luxurious atmosphere is our ambition and making you feel satisfied with the results is our goal. We are always on the lookout for brands that can have a say in our everyday lives and we want you to feel that way too.